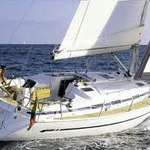 Sailing yacht Bavaria 41 Holiday called Catia II was produced in 2002. 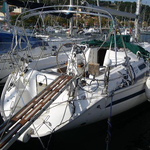 We offer her from marina Athens in region Athens. Catia II is registered for 8 crew members. Layout of the sailboat is 8. 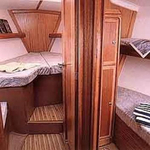 Bavaria 41 Holiday Catia II is equipped with 4 cabins. For guests disposal there are 2 toilettes with showers. Catia II is 12.84 m long and 3.98 m wide. 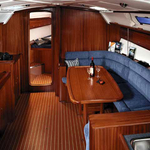 Depth is 1.95 m. Find more yachts under the link: Yacht charter Athens. 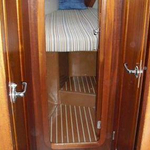 Vessel's equipment consists of : Teak cockpit, Dinghy, Bimini top, Anchor electric windlass, Radio / cd player, Bed linen, Autopilot, Gps plotter, Navtex, Radar, Outboard engine, Furling mainsail. . Security deposit is at the level of 1500.00 EUR. 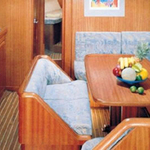 Choose our offer and enjoy your holidays on the deck of Catia II. 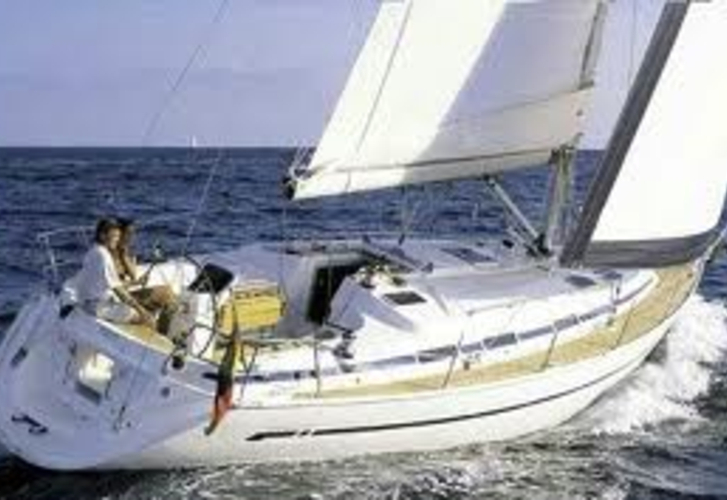 This Bavaria 41 Holiday from Athens from Greece Click for under this link: Yacht charter Greece.